And cause our lungs and hearts to tar and rust. Are those who can’t afford a fresher breeze. 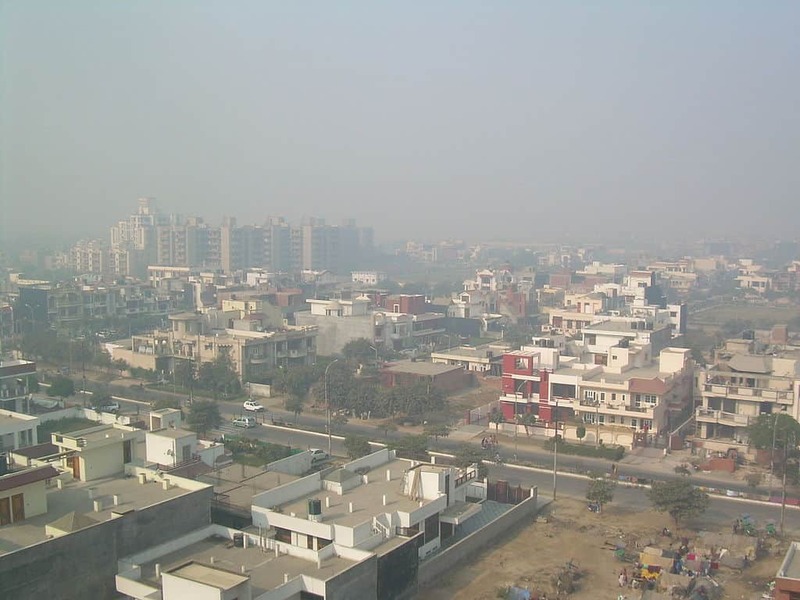 Air pollution visible over Delhi (Photo Credit: Onewhohelps at English Wikinews). This is a Heroic Rispetto, inspired by recent research that has linked outdoor air pollution to an increased risk of diabetes, at both a national and global level. The term fine particles, or particulate matter 2.5 (PM2.5), refers to tiny particles or droplets in the air that are 2.5 microns or less in width. Exposure to fine particles can cause short-term health effects such as eye, nose, throat and lung irritation, and can worsen medical conditions such as asthma and heart disease. Previous studies have also indicated that there is a link between fine particles and diabetes, with pollution thought to reduce insulin production and trigger inflammation, preventing the body from converting blood glucose into energy. However, until now this link has not been fully explored. By studying a cohort of people with no previous history of diabetes over a period of 8.5 years, and measuring their exposure to air pollution, researchers in this study were able to demonstrate a link. They have estimated that air pollution was responsible for approximately 3.2 million new cases of diabetes across the globe in 2016, representing about 14 % of all new cases of diabetes that year. The researchers also found that the overall risk of pollution-related diabetes is higher in lower-income countries such as India, where they often lack the resources for the implementation of clean-air policies.